May is Better Hearing Month. This year, YourHearing’s focus is on technology and the ways it can help make our lives easier—giving us more options, flexibility and convenience. Although having hearing loss may complicate going about our day to day lives, technology may help. Whether you’re looking to access information, connect with others, manage your affairs or make your life a little easier or more enjoyable, check out YourHearing’s top free apps for iPhone and Android users. Flashlight. Walking through a dim lighted area, or searching for something in the dark? The flashlight app on your phone comes in handy. If your phone doesn’t already come with a built in flashlight, download this free app. Google maps. Driving, using public transportation or walking to a new location, Google maps features voice and text navigation to help you reach your destination easily. Find my car. Whether in a crowded parking lot or city block, can’t remember where you parked? Don’t let panic set in—download the find my car app and easily locate your vehicle. 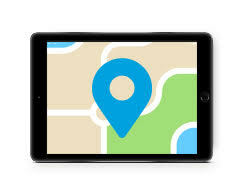 Use the phone’s GPS coordinates to locate and store your car’s parking space, take a photo of your car parked or just type a little note like “Parked on 89th street and Lexington. Feed meter at 4 p.m.” When you’re headed back to your car, just hit the find my car button—it’ll display where you’re parked and can even navigate you using GPS. MyFitnessPal. Looking to lose weight, get in shape or maintain your weight, the MyFitnessPal app is a great way to track your calories and create fitness goals for yourself. Through the app, you can keep a food diary, log your workouts and share progress with other users (good for extra incentive or competition). Did you know that exercising for just two hours a week and eating a healthy diet may help protect your hearing? Kayak. Searching for a flight, hotel, booking an all-inclusive vacation or renting a car, let Kayak be your go to travel app. Bonus—you can use their flight tracker to check if your flight is on time. Facebook Mobile. Keep in touch with family and friends, share photos, status updates and more. You can even allow Facebook to locate you by GPS so you can check in to your favorite places and let your friends know what you’re up to. Retire Logix. Planning for your retirement? Use the Retire Logix app, an interactive calculator that lets you estimate your retirement income needs. It calculates the current rates of return from your different accounts and lets you know if you’ll have enough to meet your needs. The app allows you to account for your Social Security and pension income, while taking taxes and inflation into account. Mimi Hearing Test. Test your hearing on an iPhone and get results after two minutes with this interactive app. Find a quiet place, put on your headphones and click the quick test button. Results of the hearing test are shown on a hearing landscape, a graph that shows how individuals hear at specific frequencies. Remember, these results aren’t a 100 % accurate. The test is not intended to replace testing offered by a hearing healthcare professional. If you suspect hearing loss, YourHearing can match you with a pro. ClearCaptions. The closed captioning app translates all your phone calls to text right on your screen. You can hook it up with your work, home or cell phone, while still being able to see the conversation on your phone’s screen. If you miss something, you can easily scroll up to reread it on your phone. Postagram. Turn your travel photos into postcards and send to loved ones with this easy to use app. Upload your image from Facebook, Instagram or your camera roll, then type a greeting and place your order. Postagram will print your postcard and mail itfrom almost anywhere in the U.S., Canada and Europe for $ 0.99.